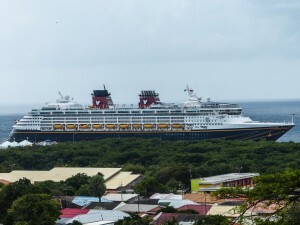 WILLEMSTAD - Disney Cruise cruise ship Disney Wonder Line has visited Curaçao for the first time today. 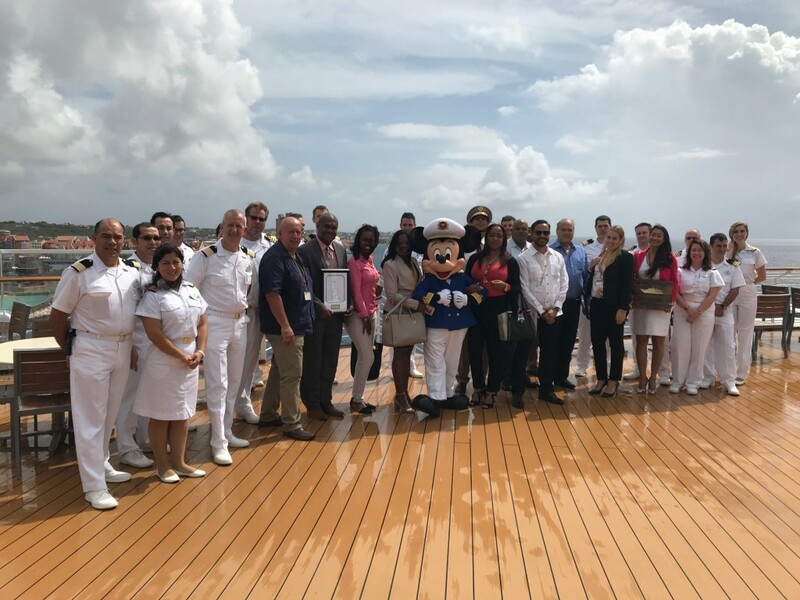 A delegation, existing of representatives of the Ministry of Economic Development (MEO), the Curaçao Tourist Board (CTB), the Chamber of Commerce and Industry, Customs, Maduro Shipping (the agent of the ship), the Harbor Master and the Curaçao Ports Authority (CPA) were present during the inaugural ceremony on board the ship after her entry. The ship Disney Wonder has a capacity of 2,713 passengers and focuses on family and children. 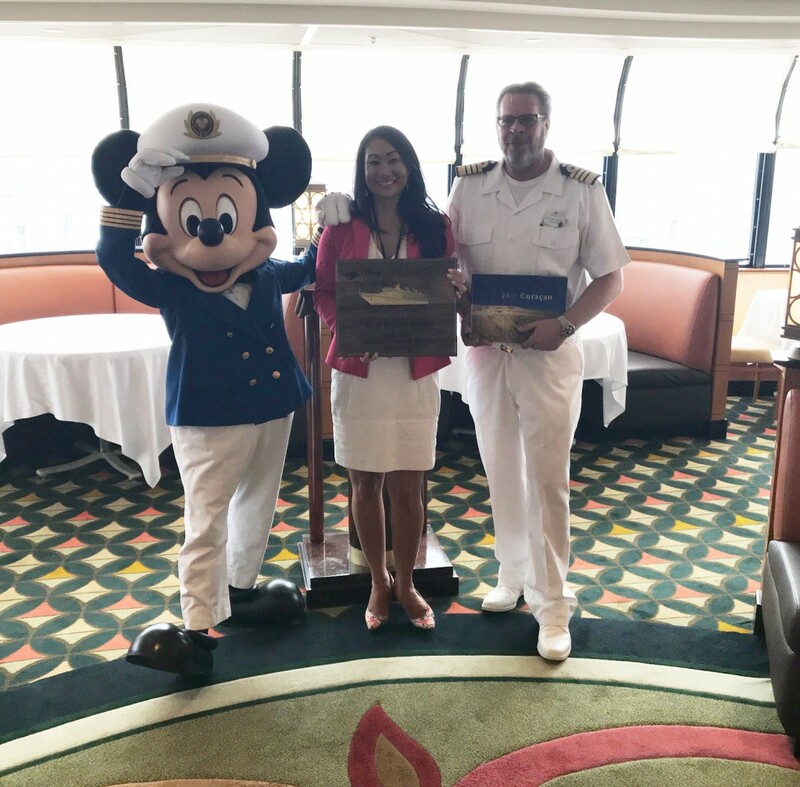 On behalf of all those that work in the harbor, Mrs. Sau Bridgewater-Chong, CPA’s Manager PR & Communication, welcomed Captain Robert Olmer and his crew. The ceremony was concluded by the delegation members with the exchange of symbolic gifts.